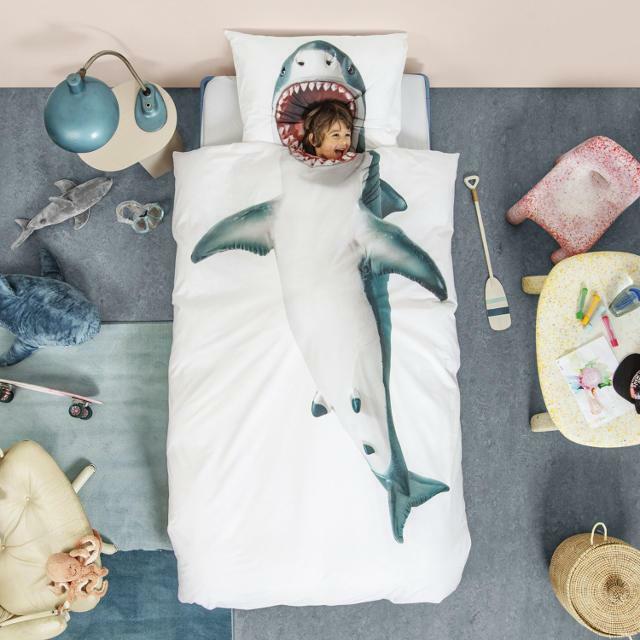 Shark is not just right to watch on TV but now you can make your baby sleep in shark bedding. It is for sure that baby shark is watchful only on TV, and will never want your kids to go near it. Even you won’t allow your kids to go near to the beach which is the home of sharks. But, you will also agree that there is something so magical about sharks, right! And also terrifying, although your kids could veg out on the couch and watch hours upon hours of Shark Week on the television. It is not only you who worries about their child, but actually all afraid of sharks, their underwater speed, terrifying teeth and their deadly canine which is made to eat their prey. And I think that humans are their favorite prey to catch, maybe it is why that we humans are tastier than those under-water creatures, I don’t… I am just saying! But what if we ask you to snuggle up in the bloody teeth filled the mouth of a shark, and have a sleep in it? Confused, right? 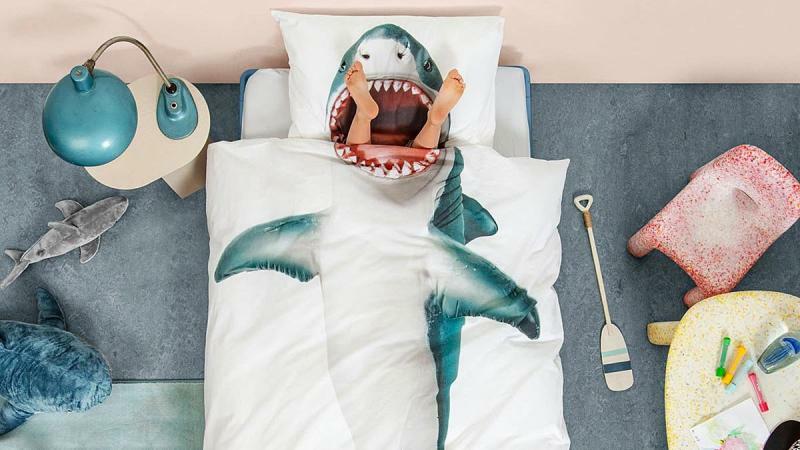 Ok, we are not talking about the real shark here actually it is about the newly launched bed-linen for kids. 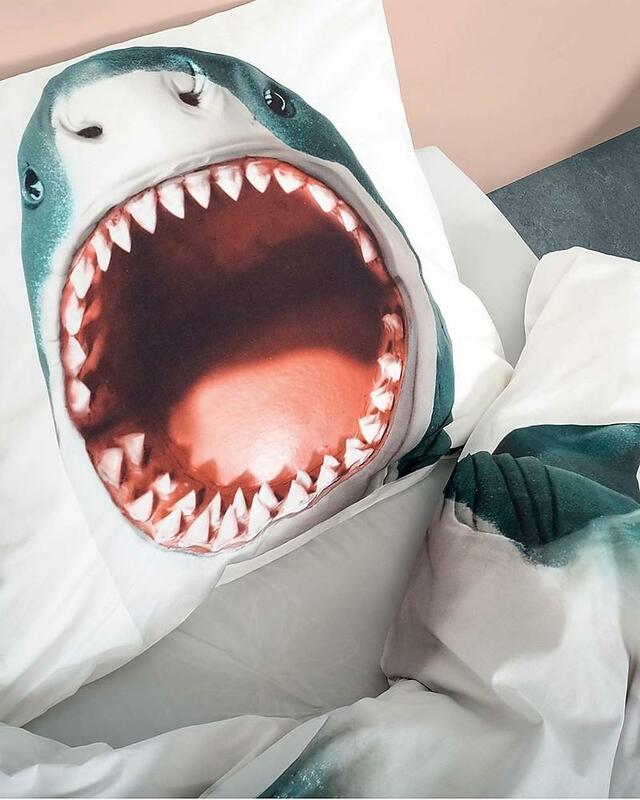 Now for this, you have to have sacrifice your child because after watching this he or she is going to sleep with you or spend much time with you because this shark jaw inspired bedding is going to be their new favorite and they gonna spend most of their time in their beds. It is the new trend spreading among the small kids, who are actually the fan of sharks and their strength (though I am also, I am not a kid). Your kid will have fun while sleeping. As the design of this is created in the way that half of the teeth in on the pillow and half is on the bed-linen. Look at the funny pictures that kids are getting clicked with this bed linen.